I like buttons. There, I said it. This week’s challenge is all about buttons. I’ve rounded up a few sites that feature creative hover effects. While not all hover styles and effects are possible in Storyline, there are a lot of creative ideas to help you create your own buttons. Here’s a great collection of simple hover effects for circular buttons. Most of the effects can be applied to other button shapes. 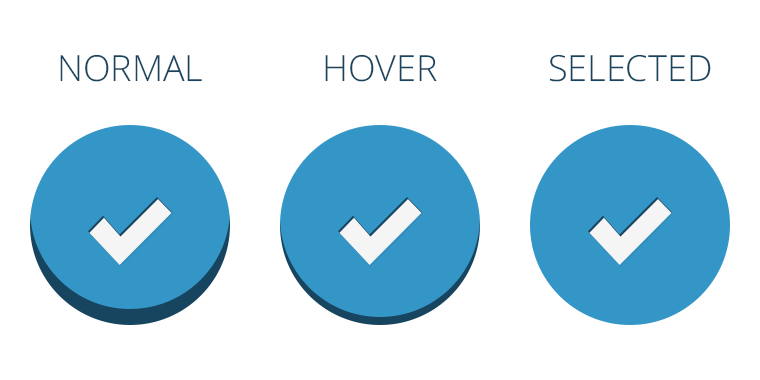 Here are some more ideas for subtle hover styles and effects for buttons. I really like the ghost effect used in the hover states. Great collection of hover effects for buttons. Even though some of the effects aren't possible, there are still many ways to achieve the overall essence of the effects. This week, your challenge is to have fun with buttons! Play with different shapes, styles, and effects to show how you can use buttons creatively in e-learning. Be sure to include the Normal, Hover, and Selected states in your work. Using Storyline for this week’s challenge? Please consider sharing your .story files. Button graphics make great giveaways and the source files will help a lot of users get up to speed with more advanced button concepts. Not using Storyline? No problem! You can mock up your 3-state buttons designs in PowerPoint or any other tool. We’re mostly interested in seeing your creative button ideas. The Ultimate Guide to Buttons in Storyline 2: Fantastic resource on using buttons in Storyline 2. Tips for Creating Great Buttons That Stand Out: Bookmark this article for tips on common button characteristics and ideas for creating engaging buttons. 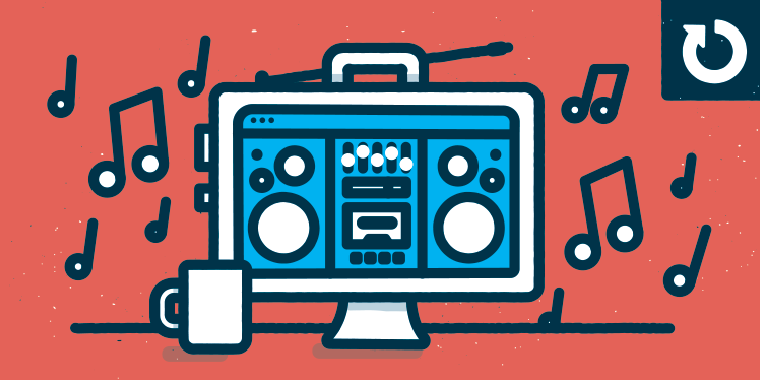 E-Learning Icons: Show and Share Your Favorite Styles #78: Icon challenge with some great tips and examples for creating your own graphics. In Defense of Eye Candy: Great article that makes the case for design and beauty in web interfaces. The same research applies to the types of graphics we build in e-learning. Wishing you a button-tastic week, E-Learning Heroes! Here is a project I started a while ago, and finally finished in my downtime. It has timeline buttons and arrow buttons for exploring the content: http://chilp.it/e7d58fe. These ideas were very creative! My submission is a bit late. https://9a779ed2239a220ef37a88d2942d7c8b0707b9ba.googledrive.com/host/0ByrMpLpuC8LLfjJ3STl4Tngzb3ozY1ZhUVp4UUxGYWtKSVR2Zm5YMlJZSTVOVDU0VmRoMzg/Button%20Effects/ A simple button hover effect that makes the parts of the children's playground move. Oh, wow! That's gorgeous, Montse. Thank you, David! I appreciate your feedback! Nice job Deniz! I love the "add to basket" button, but I kind of wish it would show "completed" immediately after you click instead of after your cursor leaves the button. That is just my preference, it works great as is too! You know, I've had issues with that. Does anyone know of an easy way to disable the hover state when a button is selected or down? Thanks for putting this together! I misspoke when I asked the question. I meant specifically the selected state, not the down state since that only lasts while the click is happening. Just wondered if there was an easy way to keep it from switching to hover state when it's selected without all the complicated workarounds I've done in the past like messing with disabled states or creating a selected layer for each button where I hide the one that's selected. Super Mario Brothers is one of my all-time favorite games!!! I love this! Kartik, your link isn't working. Hi linda, i've checked the link in my phone and its working. Okay, I see it now. Nice, I like your icon change of states. Glad you brought up the term "ghost buttons" Lindsey. I was thinking of doing a follow up post on that topic:-) I just updated the recap to include your example: https://community.articulate.com/articles/inspirational-button-effects-elearning#LindseyBall Nice seeing you back in the challenges! Hi everyone! Just a quick post to let you know the button effects recap is current: https://community.articulate.com/articles/inspirational-button-effects-elearning If you shared an example and it's not in the recap, let me know immediately so I can add it. Thanks! The recap is not current any more David! Here is my entry - which includes a FREE DOWNLOAD of the Articulate Storyline 2 file: https://hopedianne.com/creative-button-styles/ Thanks in advance for updating the recap! Here is my example: http://elearning-examples.s3.amazonaws.com/Weekly-Challenge/77-Emoji/KatherineJackson/story.html. HI everyone! The recap for this week's challenge is current: https://community.articulate.com/articles/inspirational-button-effects-elearning/ If you shared an example or download and don't see it in the recap, let me know so I can add it!